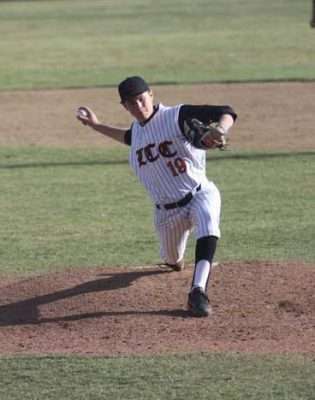 The Lassen Community College baseball team hasn’t had the best preseason luck weather-wise as their conference game against the Feather River College Golden Eagles was postponed from Friday, March 16 to Monday, March 19. However, despite the rain and snow attempting to stand in the way of the Cougars, Lassen refused to face the game without some fire in their eyes. The Cougar-hosted game resulted in a 7-4 Feather River score, unfortunately. Lassen then traveled to Feather River College for a rematch Tuesday, March 20, but the Golden Eagles were even further on top of their game and ended up winning against the Cougars with a final score of 9-2. During the home match, Lassen hit a rough first inning and couldn’t recover. During the top of the first inning, Connor Fleharty started on the mound. After Fleharty gave up a single and a double, Feather River made their first run from an error by second base. The second Golden Eagle run was scored after Feather River hit a single, and the third run came in after a Feather River batter grounded out to second. However, a fly ball to center field and a hit to the shortstop resulted in the second and third Feather River out, leaving the score at 3-0 and sending the Cougars to bat. Unfortunately, the Cougars were unable to get a single hit in before they were sent back out into the field. Inning two was a different story, though, as Fleharty struck out two Golden Eagles and the third was an easy out at first. During the bottom of the second, Robert Lujan singled and with a single by Lincoln Turner, Lujan rounded second and advanced to third. Jarryn Wee walked and loaded the bases with Turner advancing to second, and with a single from Mitchell Menns, both Lujan and Turner scored while Wee advanced to third. With two runners left on base, the inning was called and the score was adjusted to a 3-2 Feather River lead. The Cougars then tied things up in the third inning with one run scored. Ryan Thomasy walked and then advanced to second after Eric Carlson singled. Jordan Taylor then grounded out to third for a sacrifice that allowed Thomasy to hit third and Carlson to advance to second. Lujan was next at bat and ultimately hit a sacrifice fly to left field to bring Thomasy in. The score remained tied for innings four through six as the Golden Eagles and the Cougars each had a total of three hits recorded between them, but runs were simply out of the question. In the seventh inning, luck returned to the Feather River side as a fielder’s choice send one Golden Eagle out on his way back form third base, but allowed another to score. Unfortunately, luck was not so willing to return to the Cougars until after another run was made by the Golden Eagles during the top of the eighth inning. With the score at 5-3, Feather River, on the board to open the bottom of the eighth, the Cougars were eager to see another run. 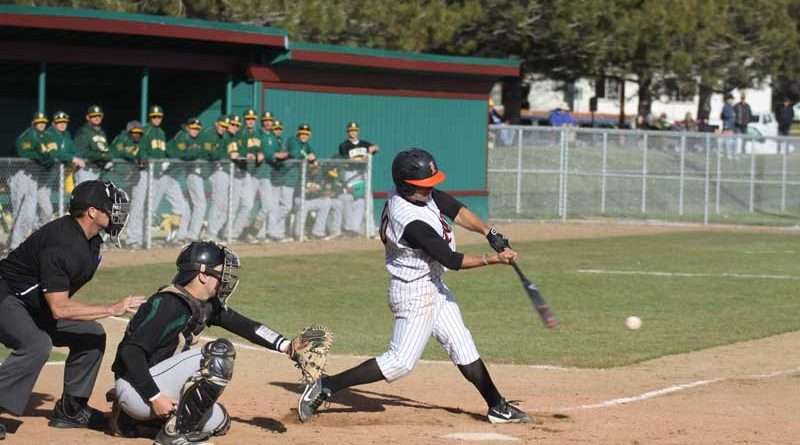 Jordan Dicus was first at the plate for Lassen, but ultimately didn’t get the chance to hit, as the pitcher couldn’t get a valid pitch in edgewise. Dicus walked. Then, Ryan Thomasy followed by walking as well and sending Dicus to second. Eric Carlson, however, was able to hit and ultimately sent Dicus in as well as allowed Thomasy to advance to third. Inning nine allowed the Golden Eagles to bring in two more runs, but the Cougars were only able to hit one single before the game was called. The 7-4 Feather River score was discouraging for the Cougars, but it didn’t keep them from giving their all on the Feather River home field the following day. 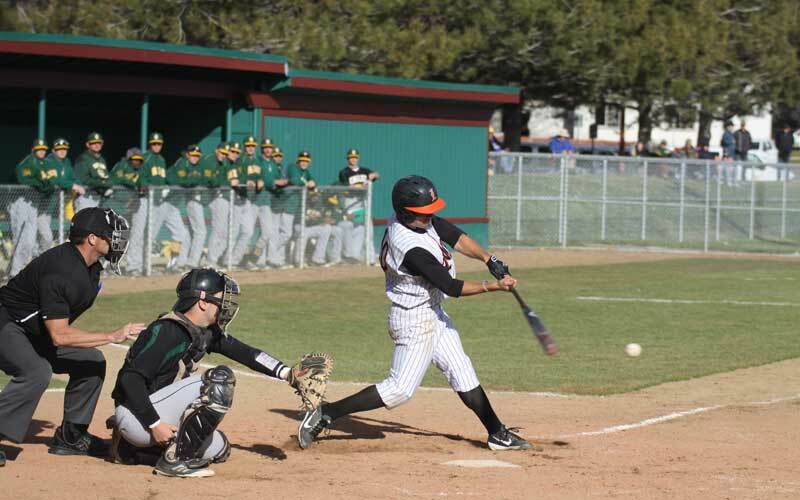 The March 20 game didn’t prove any easier for the Cougars as the final score was 9-2, Feather River. Carlson was the only Cougar to hit during the top of the first inning, and no runs were scored as a consequence. The Golden Eagles had an opposite bout of luck in the bottom of the first though, as Feather River only had two hits, but managed to bring in a total of five runs. With a strong 5-0 Golden Eagle lead, the second inning was uneventful. Inning three, however, allowed the home team to bring in three more runs. Lassen finally attempted their comeback in the fifth inning, but by that point, the damage was too severe to overcome with ease. Sami Baig was the first to reach the base after being walked. Jared Kiessling then reached first on an error by the first baseman and allowed Baig to advance to second. Next, Carslon singled and brought Baig in to provide the first run of the game for Lassen. The bottom of the fifth inning was unfruitful for the Golden Eagles. Thanks to a walk and an error, the Cougars finished the top of the sixth with two runners left on base despite not having any hits. The bottom of the sixth only saw one hit from the Golden Eagles. The top of inning seven brought in the second Cougar run. Carlson singled and stole second on a wild pitch. Luke Smith grounded out to second base next to send Carlson to third, and with an error by third base after Lujan’s hit, Carlson made it in. 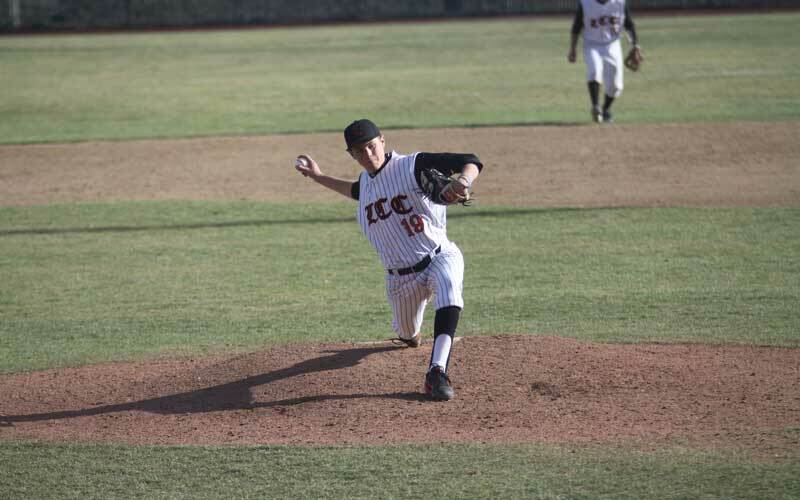 Though the Golden Eagles were unable to score in the seventh inning, they had one more run in them before calling it a game; the ninth Feather River run was made in the eighth inning.